 Iran, March 16, 2019 - New reports are being provided from cities all over Iran of opposition People's Mojahedin Organization of Iran (PMOI/MEK) dispatching “Resistance Units” to target icons of the mullahs’ regime and their oppressive units. In Golpaygan, southwest Iran, Resistance Unit 512 set fire to the entrance of an IRGC Basij base while chanting similar anti-regime slogans. Members of Resistance Unit 938 in Tehran set fire to a large poster of regime founder Ruhollah Khomeini and Khamenei. Members of this resistance unit were also chanting, “Death to Khamenei – Hail to Rajavi,” referring Iranian Resistance leader Massoud Rajavi and opposition President Maryam Rajavi, head of the National Council of Resistance of Iran (NCRI). In Khuy of West Azerbaijan Province, northwest Iran, members of Resistance Unit 965 set fire to the entrance of a regime seminary. The mullahs use such centers to preach their Islamic fundamentalism/extremism ideology. Members of Resistance Unit 524 in Lorestan Province, western Iran, set fire to an IRGC Basij center, known to have cloaked is activities under the cover of selling religious books.